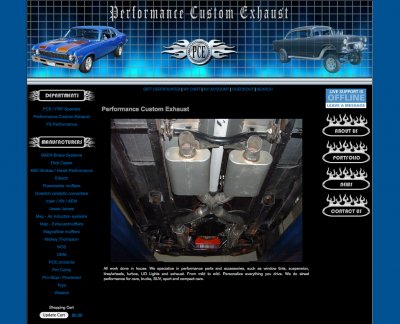 Built their eCommerce website. Created their logo. 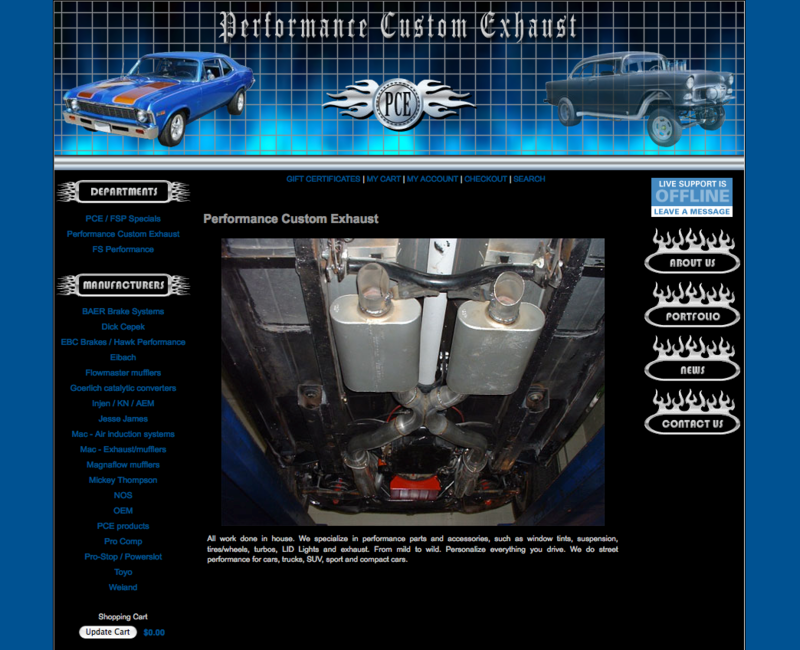 Animated blue flames behind the Performance Custom Exhaust logo and a series of muscle cars. Animated buttons which have blue flames when you mouseover.